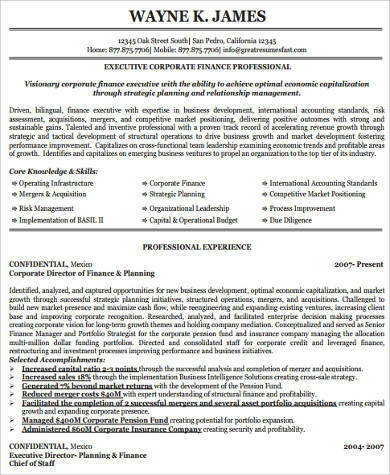 The content of your finance resume greatly varies on the position that you are applying for and its level in the organizational structure. 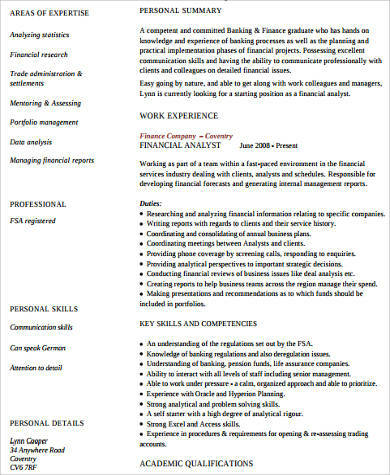 It is very essential to assess yourself first including your professional work experiences, work ethics, and qualifications so you can fully be aware of the finance job position that will be aligned with your competencies. 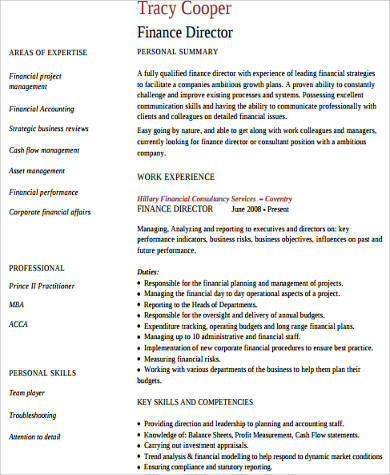 We can provide you with sample finance resumes so you can already start creating your own finance resume if you already know the finance job position that suits you best. 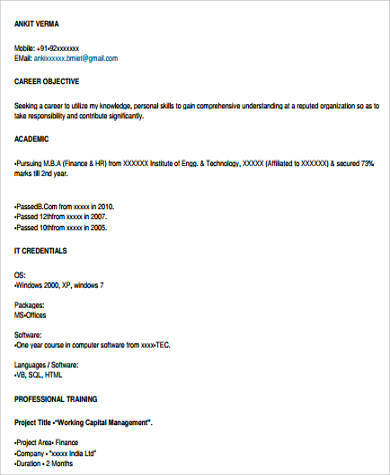 Moreover, you may also be interested to download our other Sample Resumes for additional references. 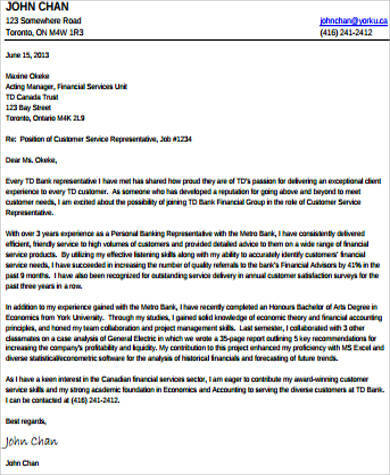 Provide information about your internship and other experiences in finance practices, programs, and systems. Assure that you will list down your abilities and technical skills that will be helpful in the operations that are done on a daily basis in the finance industry. 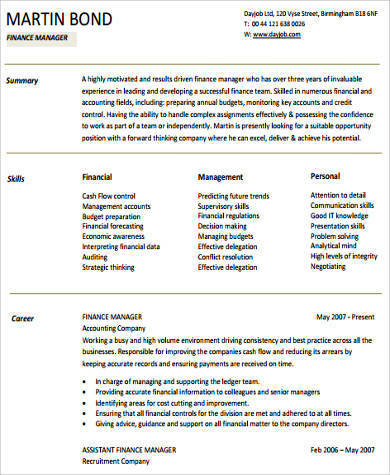 Identify the needs of the specific finance job position in the company where you are applying at and incorporate your work ethics and individual characteristics that are aligned with the needs of the business. 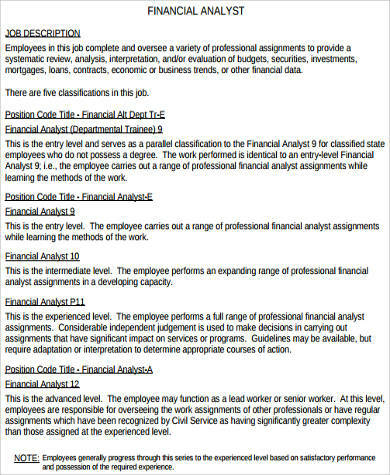 State the knowledge areas in the finance industry that you are aware of and you can implement should you be given the chance to qualify as an employee. 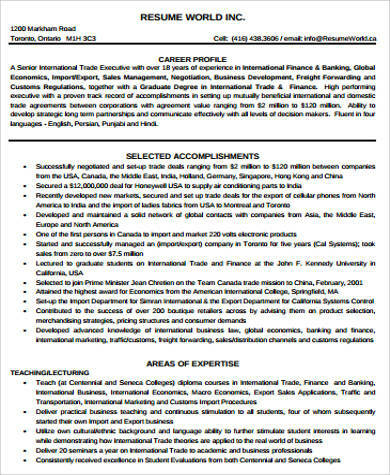 your management skills involving the resources of the business, which includes budget, workforce, and skills delegation. 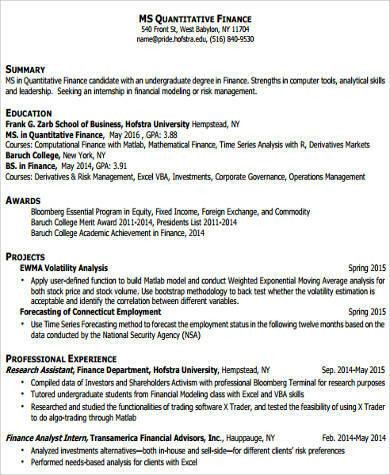 Aside from our samples of finance resume templates, you may also download our Sample Financial Analyst Resumes. 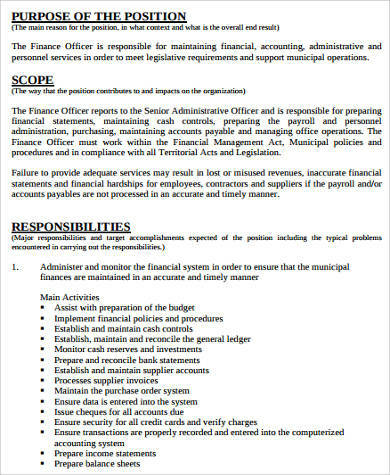 your skills and abilities that will be very helpful in maintaining and improving the processes of the finance department of the company. 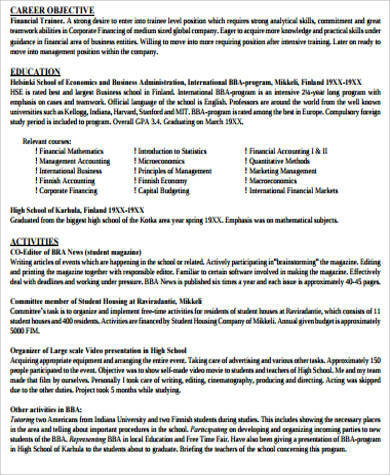 If you would like to apply to any of these positions, do not hesitate to download our resume samples so you may be guided in creating your own professional profile fit for the work position that you are applying for. 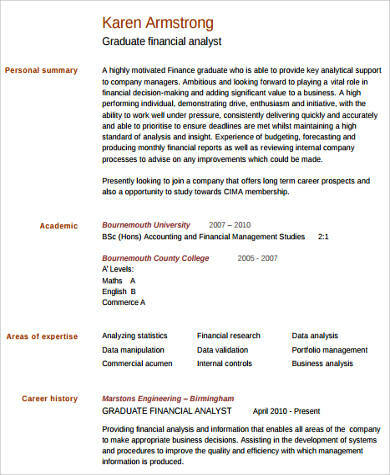 Also, you may want to download our templates of Sample Accountant Resumes for additional references as well.